This week I’ve re-released A Heart Divided, a gay Civil War romance that remains one of my favorite stories of all those I’ve written to date. Living in Richmond, Virginia, I grew up learning more about the Civil War than most anything else. Seriously ~ we actually had a class in 7th grade called “Virginia History.” Our field trips were to plantations and battlefields. We didn’t even learn about anything after the surrender at Appomattox until 11th grade. I’m sure being so exposed to American history at an early age fueled my interest in the Civil War. To be honest, military history in general is one of my “go-to” genres of choice. I love reading books about war (fiction and nonfiction) as well as writing stories set during different military campaigns. 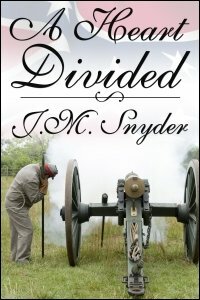 A Heart Divided was my first novel-length story set during the American Civil War. Rebecca, you won! I’ll email you about it.